Last week, I told you about a wine tasting we conducted, and the two “best buy” wines of the evening: a Mexican Nebbiolo, and a Spanish Albariño. To my surprise, a lot of the people at the tasting were unfamiliar with Albariño, so I thought I might take some time, and do a short information piece on this up and coming wine variety. Albariño is a green, thick-skinned grape variety. It was presumably brought to Iberia (now Spain) by Cistercian monks in the 12th century. The monks were centered at Cluny, in the Burgundy region of France. 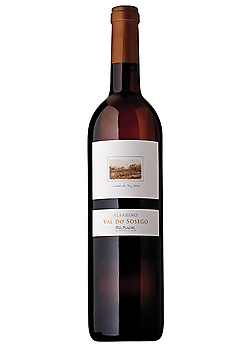 But, its name "Alba-Riño" means "the white from the Rhine", which could indicate that it traveled a bit, before settling down in the Rίas Baixas region (Galicia) of Spain. Albariño accounts for 90% of all plantings in Rías Baixas. I should point out the DNA research has been inconclusive as to the origin of the grape. It is also common in the Vinho Verde region of Portugal, where it is known as Alvariñho. Vinho Verde translates to “green wine”, but in this case, the “green” is referring to youth. The wines are blends (Alvariñho along with Loureiro and Trajadura), which are commonly bottled with a bit of carbon dioxide remaining trapped in the bottle, producing a light spritz on the palate. The thick-skinned grape resists fungal disease, which is prevalent in the damp climates of Rίas Baixas and Vinho Verde. Albariño is a low yielding grape variety and expensive to cultivate. Most often it is fermented in stainless steel, to preserve the fruit and floral flavors and retain the sharp acidity. But, it also responds well to malolactic fermentation and barrel fermentation and maturation, creating complex wines with some aging ability. The grape is noted for its distinctive aroma, due to its thick skin. The closest grapes to associate with would be cross between Viognier, Pinot Grigio and Gewurztraminer. On the nose and palate, you’ll find apple, pear, apricot, peach and citrus, along with floral notes of jasmine or acacia. When grown in highly acidic, granite soil, Albariño produces a more minerally wine. On the other hand, sandy soil gives the wine a softer, more rounded profile. In general, the wine produced is unusually dry, light, and high in acid with moderate alcohol levels. Its thick skins and large number of pips (seeds) can cause some residual bitterness. 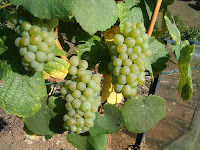 Outside of Spain and Portugal, there are small plantings of Albariño in Australia (where, for a long time, what was called Albariño, was actually Savagnin Blanc) and the United States (particularly California, Oregon and Washington). These wines are made to be consumed young (usually within the first year after bottling) and go nicely with many appetizers, poultry, seafood and shellfish. 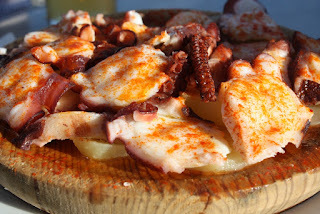 The classic Mediterranean food pairing is pulpo ala Gallego (boiled octupus with sea water, potatoes, and pimenton). It is also one of those wines that works well with spicy food, so next time you are eating Cajun or Szechuan…look for a bottle of Albariño. It’s a variety that is growing in popularity, not only because of its great taste and food friendly nature, but because the wines are great values (usually under $20). This week, the Arrowhead Wine Enthusiasts met for a tasting of five wines. There was no particular theme, except for what I felt like purchasing. I always try to provide some standard wines, to get the non-adventurous comfortable, but also throw in some grapes that are less familiar. Most everyone was familiar with the Pouilly Fuisse. This white wine (100% Chardonnay) from the Maconnais district of Burgundy, in France, is fairly well known among wine drinkers. Louis Jadot is my “go to” for wines from the region, particularly in the “around $20” range, as there are plenty of choices, but no guarantees of quality. I haven’t had a bad bottle from Louis Jadot. The Cardwell Hill Pinot Noir was the “best buy” of the night, and the obvious favorite, as we ran out of this wine early on. A very nice Pinot Noir. Light in color, with a lot of finesse. Good fruit, but also some of that earthy quality that makes Pinot Noir such a great wine. And, at $22, you just can’t beat the price. The Apex Merlot was another crowd pleaser. Very smooth tannins, but with good body and fruit. I think people are warming back up to Merlot, since the movie Sideways devastated sale. Where things got interesting was with the two other wines. First, the Val Do Sosego Albarino was a new grape to many of the members in attendance. I have served Albarino before, but it still remained “new” to many. For those not familiar with the grape, it is a white variety, mainly found in the northwest corner of Spain, in Galicia, as well as in northern Portugal, where it is known as Alvarinho. We are also seeing some show up in Central California. The wine is generally high in acid, making it a wonderful wine for seafood. This night, it paired well with asparagus wrapped with prosciutto, as well as the pizza with white sauce and caramelized onion. The wine has nice peach, apple blossom, and citrus notes, and a bit of minerality. The other unusual find of the night was from Mexico. First, the shock of finding a Mexican wine in California (even though they are just across the border, we don’t see too many up here). Secondly, that the grape was Nebbiolo. Those that have tried Barolo or Barbaresco, should be familiar with this grape, and the powerful wines that are produced in Italy. So, how does Mexico do with Italian grapes? Pretty well based on the groups’ response. 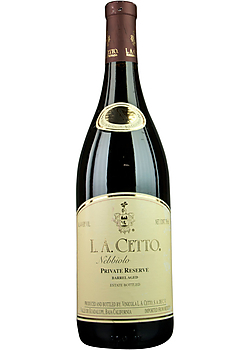 As it happens, Senior Cetto was originally from Italy, and brought this red grape with him. At first glance, you’d think you were about to drink a Pinot Noir, based on the semi-transparent red wine in the glass. Then, the earthy cherry, and leather, with a bit of tannins hits you, and you know you are trying something different. Old world in style, but made in the New World (yes, Mexico is considered a new world wine country). At $17, this was another best buy for the night. As I have suggested many times before, venture out and try new wines. 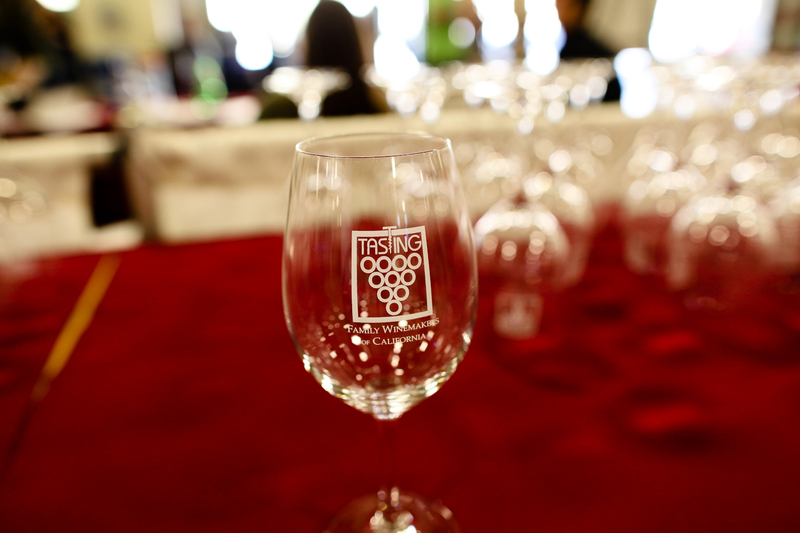 The one thing about wine tasting is there are literally thousands of wines and grape varieties to try. All of them are different, and with each new vintage, you get to start all over again. What do you do when you come across a number of different vintages, from the same winery? I put together a vertical wine tasting dinner! A vertical wine tasting is where you have a number of bottles from the same winery, that are spread out over a number of vintages (harvest years). This is different from a horizontal wine tasting which a number of bottles from the same vintage, but all from different wineries. In this case, we had found a deal online where five years of the Raymond Vineyards Private Reserve Cabernet Sauvignon were up for sale. Limited amounts were available. By the time I had ordered, only four years were still for sale, so I picked up the 1986, 1987, 1989, and the 1992. There were a total of four couples, and each couple was asked to bring an item that they felt would best pair with some older Cabernet Sauvignon. We decided not to have a full sit down dinner, but rather small bites, that would give us an opportunity to see how each paired with the wines, but also have time to taste each wine on its' own. We opened the evening with a small cheese platter, which included Gouda, a sharp Vermont Cheddar cheese, and some aged Parmesan. Additionally, I like to experiment on friends, so I created a fig tepanade (figs, olives, capers, walnuts, olive oil, balsamic, and thyme) which was put on slide baguettes with goat cheese. We also had some crostini with blue cheese and caramelized onions. For the main courses (if you want to call them that), we had large mushroom caps, stuffed with bison and blue cheese; grilled lamb loin with a blackberry sauce and mint; and a beef stew with pearl onions. Every item paired wonderfully with the Cabernet Sauvignon. I am partial to lamb with Cabernet, and don't eat lamb too often, but I really liked how it worked with the blackberry and mint. While we really didn't have a dessert in mind, we did have a number of chocolates that we tried. Each had a range of cocoa in them. They ranged from 60% to 85%. There was consensus that 70% was the right mix for a good pairing with Cabernet. The lower level (60% was too sweet) and the highest (85%) was just too bitter. We also had one chocolate with some chile powder in it, but it was too overwhelming, and it just didn't work. As for the wines, which were the stars of the evening...we were pleasantly surprised that all had held up. There was some concerns when I pulled the corks. Being a sommelier, I am pretty good at getting old corks out in one piece. This night would prove to be the exception. Of the four bottles, only one cork came out in one piece. Two others came out in pieces, but no cork made it into the bottle. The last bottle (1992) and the youngest of the bunch, disintegrated, and required filtering through a wire filter, and into a decanter. Also, the 1992 had the most sediment of all the bottles, so decanting was needed anyway. The 1986 vintage faced heavy winter rains in February and March followed by a warm spring leading to early bud break. In general, the wines of 1986 were round and soft. Some late season rains posed some minor issue for those that harvest late. Our bottle - The cork broke about mid way, but no signs of oxidation, or signs of leakage. Light aromas of tart cherries, but more bouquet leaning to leather and oak. Tannins were flat. The 1987 vintage had a drier than normal winter and a hot spring. Late summer heat led to an early crush for most winemakers. The yield was light. Our bottle - The cork was stained about 90% up, but there was no signs of oxidation. Not much nose left but the taste was excellent. A bit thin on the palate. Cherries, leather, coffee and a bit of eucalyptus and surprisingly long finish. For me, this wine as the best for pairing with all the different foods, and was my personal favorite of the night. The 1989 vintage was a dry year with low rainfall and a cool spring, but warm weather late. Without some canopy thinning, wines of this vintage would pick up some vegetal aromas (as did our bottle). Our bottle – Once again, our cork broke about mid cork, No signs of leakage, or oxidation. This wine was the most vegetal/herbal of the four. Eucalyptus, celery, mixed with cherries and earth notes. 1992 was a “classic” vintage for Cabernet in Napa Valley. Low rainfall, warm days and cool nights for the entire season. A late harvest, and a cooling trend in late May meant more hang time and stronger flavor development. Our bottle – the cork completely disintegrated on us, and we have to filter and decant. Lots of sediment (versus the other three vintages). This bottle had more of the classic Cabernet aromas: Cassis, vanilla, cherry. This was the most fruit forward of the bunch, and was the overall favorite of our tasting group. All the wines held up well (better than I can say for the corks). Raymond Vineyards once again, proves that it stands with any of the fine wines of Napa Valley. And, their wines do age well. What if you could go to one location, and try some of the best wines in California? What if that location included about 175 wineries, and around 750 different wines? What if those wineries were from Napa, Sonoma, Paso Robles, Santa Ynez, Temecula....well you get the picture. So, what are you doing the weekend of March 9th? I know where I will be. 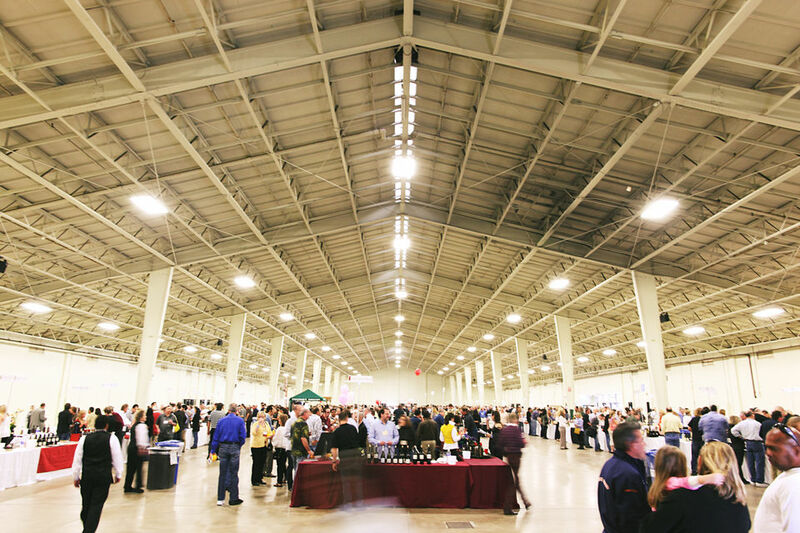 The Del Mar Fairgrounds in San Diego county will be hosting the largest wine tasting event in Southern California, and includes some of my favorite California winemakers. This event is normally open only to those in the trade, and mainly meant as a buying opportunity for wine shops and restaurants. BUT... this year, they are going to open it to the public for a few hours on Saturday, March 9th. According to their website, the Family Winemakers of California Association was established in 1991 in response to a need for public policy involvement for the small wine producers of California. 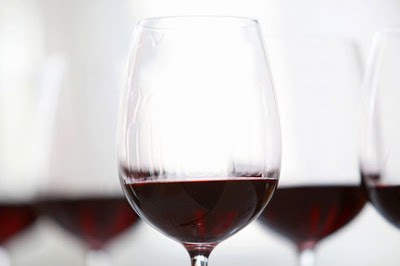 The Association has become a strong force in the wine industry, lobbying for wine producer rights, and has an active membership of over 550 California wineries. Family Winemakers draws its membership from all the wine producing areas of the state, with the largest concentration coming from Napa and Sonoma Counties. 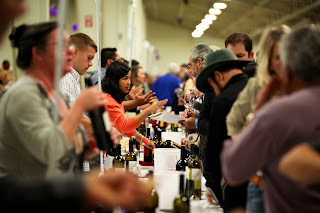 Family Winemakers trade tastings, have been held in San Francisco since 1991 and in Southern California since 2000, are well known in the industry for the quantity and quality of the participating wineries. 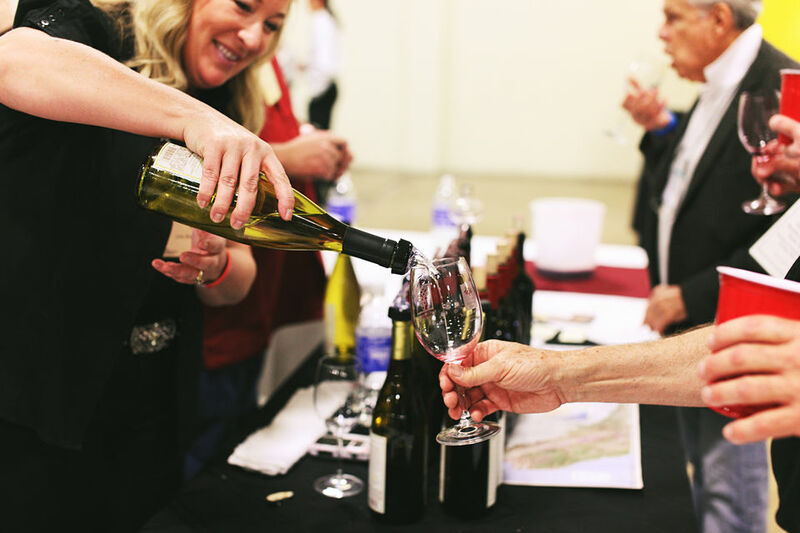 The tastings give members of the trade and public the opportunity to get to know wineries from all over the state, especially the small, all in one place at one time. The cost of the event, for the general public, is $70 at the door, but I am going to share a way to get in at a lower cost. If you register before February 22, you can get in for only $50. Tickets are on sale right now, and can be purchased online at www.familywinemakers.org at the advance ticket prices. Or, you can go to fwcconsumertickets.eventbrite.com. This year’s tasting will also offer a new Reserve Area, only open to consumers. For an additional fee, fine wine lovers can purchase the “Reserve Area Access” ticket, where wineries will be pouring wines that retail at $75.00 or more. And if that is not enough, there will be a limited number of consumer tasting passes available for the Sunday only trade tasting. For those outside of the San Diego area, why not make a day of it, and take the train? From Los Angeles, you can avoid traffic and take the Amtrak Train from LAX Airport to the Solana Beach Station, less than 2 miles from the Del Mar Fairgrounds. Prices range from $30 for unreserved coach seating one-way to $45 for reserved business class seat one-way (prices vary depending on time of purchase). For departure times and tickets visit: www.amtrak.com. If you want to follow the event, they have a number of social media connections. You can "Like" their page on Facebook, at www.facebook.com/FWC.SanFran or follow them on twitter: FWCTasting. Those of you, who can't make the event, can also look for my recap on this blog site, the week after the event. But, who wants to read about it, when you have the opportunity to attend? If you see me walking around (and most likely tasting and talking) introduce yourself, and say, "hi".